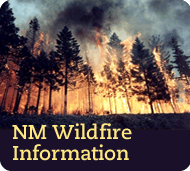 List of consultants that provide assistance with stream restoration in New Mexico. Updated April 2011 by NMED. The following consultants provide assistance with stream restoration. This list is provided by the New Mexico Environment Department Surface Water Quality Bureau as a starting point for further research. Comparison shopping is recommended. This list is intended for informational purposes only. The inclusion of any company on this list does not constitute, nor should imply, endorsement of that company by the State of New Mexico or by the New Mexico Environment Department (NMED). NMED will add companies to this list upon request. Please contact Karen Menetrey at 505.827.0194 (Karen.Menetrey@state.nm.us) or Nina Wells at 505.827.0572 (Nina.Wells@state.nm.us) to be added to the list.